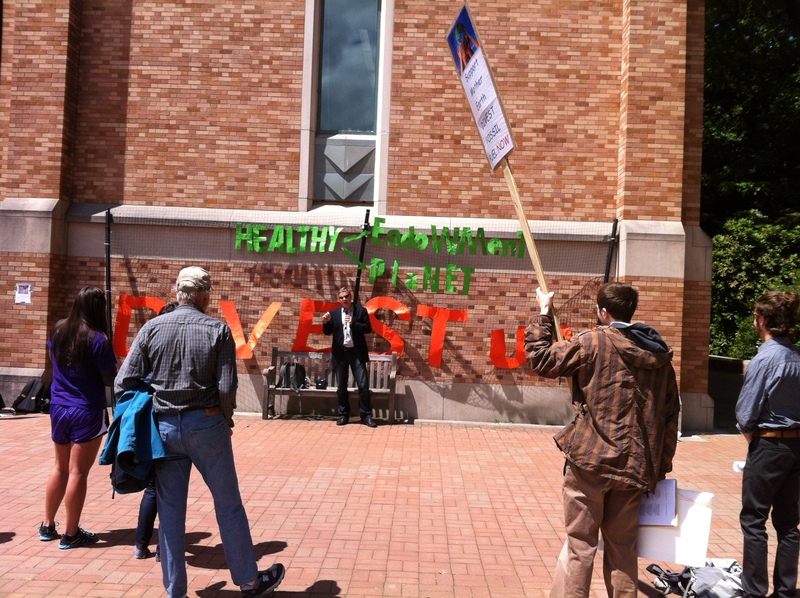 At a rally on the UW Campus under the windows of the Board of Regents on Thursday, June 13, 2013 the University was urged to divest endowment funds from any company involved in the exploitation and use of fossil fuels. In addition to a good turn out of UW students and alumni, representatives from a variety of activists groups, such as 350-Seattle, Sierra Club, and Seattle Environmental Activists (SEA) participated. We heard from Mike O’Brien, Seattle City Councilman, who attended the May SEA meeting, and then went up to the fourth floor lobby where we waited en masse until the Board of Regents to arrive. There had been time set aside on their agenda for public comment and five student had signed up to provide 2 minute comments each on the topic of divestment. All save exceptionally cogent information on why the university needed to step up with other universities that have divested and be a leader in the effort to both avoid the burst of the coming bubble in fossil fuels and do the right thing to protect their futures from the impacts of global warming. 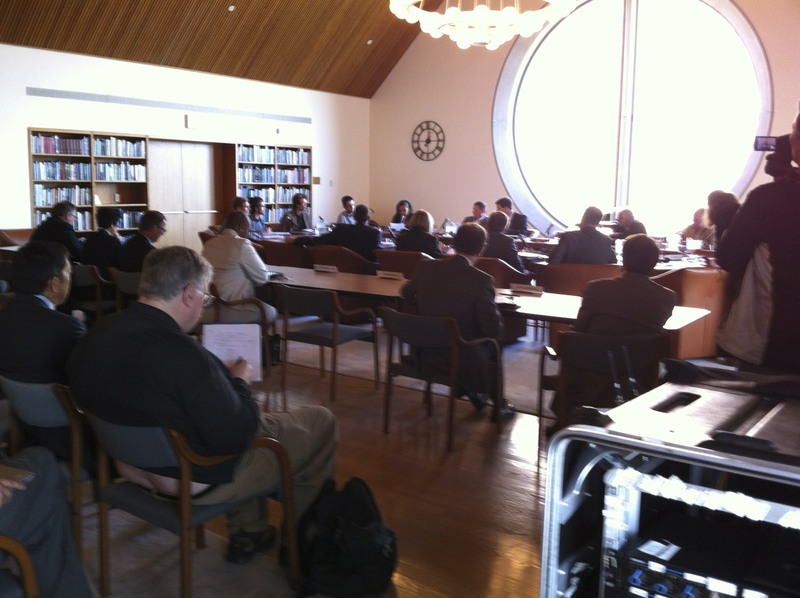 The Regents had indicated that they would not be responding to the comments at that time and after the statements had been given, the group returned outside for further statements from participants and networking. 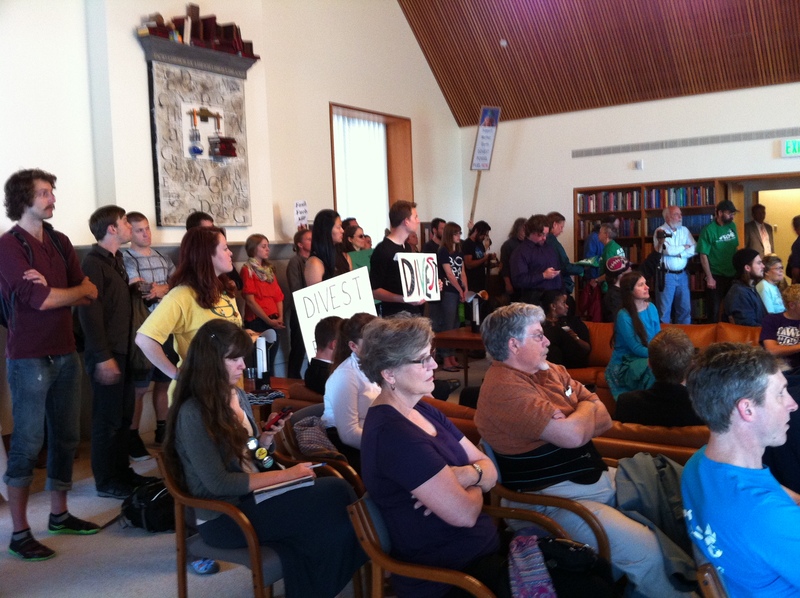 Gallery | This entry was posted in Divestment, Other Action & News, SEA Action, SEA Info, SEA Waves and tagged divestment, University of Washington. Bookmark the permalink. Thanks for your post! We posted a link on our website.